Grenada has a population of around 110,000, with about 7,500 living in the capital city, making Grenada 185th in a list of 223 countries by population. There are approximately 20 births per one thousand people, and 8 deaths per one thousand people. There are around 46,000 males and 42,000 females, and the majority of the population is 15-64. The nationality of the people is Grenadian, and the main languages are English and Patois. The total income of the country is around $1.181 billion, with an average of $11,464 per person. The currency is the East Caribbean Dollar, or XCD. 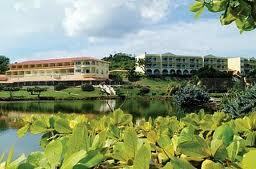 Grenada is an island and sovereign state made up of Grenada and six smaller islands in the Caribbean Sea. It is just off the coast of South America, northwest of Trinidad and Tobago, northeast of Venezuela and southwest of Saint Vincent and the Grenadines. The capital city is St. George's, located on the southwest coast of the Island. Grenada is the world's second largest nutmeg producer, and the national bird is the Grenada Dove, now endangered. Grenada's head of state is Queen Elizabeth II, and the Prime Minister is Tillman Thomas. This is a beautiful, peaceful, unspoiled island, with beautiful beaches and a bustling nightlife. It is warm all year round but most popular from December to April, as people from colder countries come to enjoy the warmth. There are spectacular views and much of the island is preserved as wildlife sanctuaries, parks and luscious forests, and visitors can dive to enjoy the spectacular views of the reef formations and marine life. 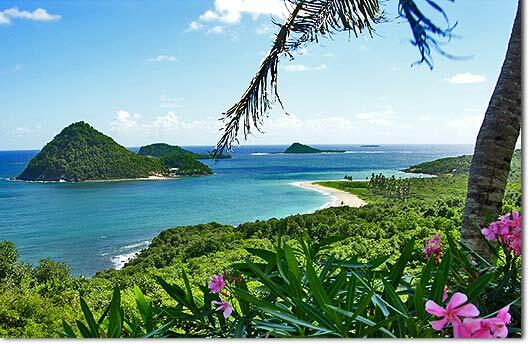 The Island of Grenada is the largest island of the group, and is of volcanic origin with rich soil. Although most of the rocks and soil are of volcanic origin, the volcanoes on the island are dormant. There is a mountain range on the island, and the tallest peak is Mount St. Catherine, at 2,756 feet, and many small rivers flow from these mountains into the sea. The climate is tropical, hot and humid in the rainy season, and cooled by winds in the dry season. Grenada lies in the hurricane belt but since it is on the southern edge they have only suffered three hurricanes in the past fifty years. 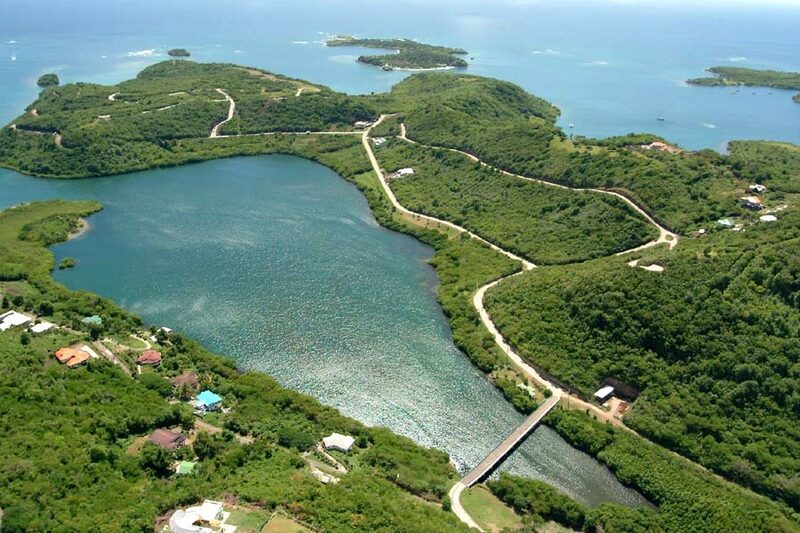 The area of Grenada is 131 square miles, and there are no large bodies of water on the island. Grenada is almost 12 miles wide and 21 miles long, and the coastline is 75 miles around. The first recorded history began in 1498 when the Caribs lived on the Island and called it Camahogne. When the English came they failed to establish a successful settlement, but the French fought and conquered the Caribs in 1650. When the French took control of Camahogne, they named the new French colony 'La Grenade', and it became a wealthy colony, exporting mainly sugar. They established a capital, Fort Royal, where they could shelter from the hurricanes. Later, under the Treaty of Paris, the colony was named Grenada and handed over to the United Kingdom in 1763. In 1967, Grenada was given the status of "Associated State of the United Kingdom", and so became responsible for its own affairs. In 1974 independence was granted under the leadership of Sir Eric Matthew Gairy, the first Prime Minister of Grenada. 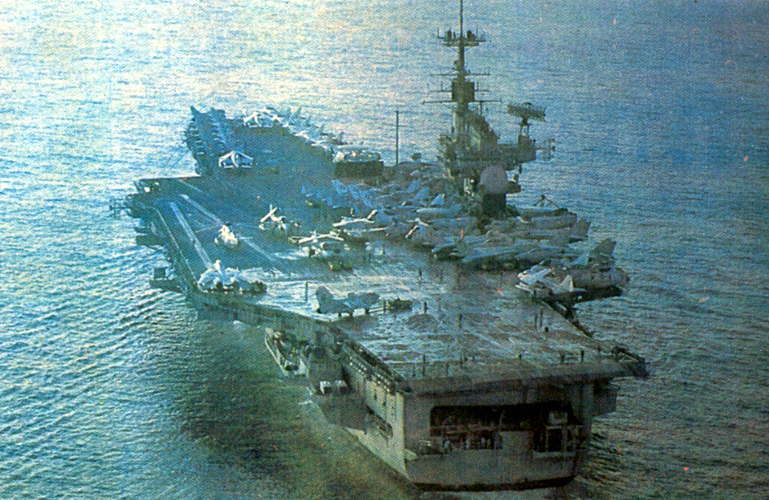 Gairy's government was overthrown in 1979 and the new regime was overthrown in a coup in 1983, and just six days later there was an invasion by the U.S. military as ordered by President Ronald Reagan. In 2004, Hurricane Ivan ripped through Grenada, which killed 39 people and left thousands homeless. Fort George, located on the west harbor, offers fantastic views. The French built it in 1705, and most of the building is open to visitors. 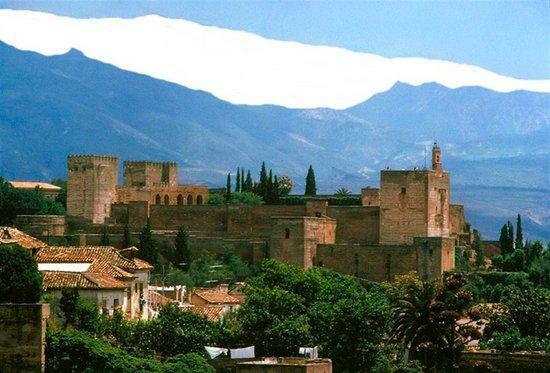 Much of the original structure is still intact, and there are even cannons which are still used on special occasions. Another is Grand Etang National Park, with beautiful scenery with fantastic views and hiking trails. A popular attraction within this park is the crater formed by Grand Etang Lake. There is also a visitor's center with information on the park and the trails. Another popular destination is the 65-foot high Concord Falls. The water is pure and very cold. For serious hikers, it is a five-hour hike to the falls, for others there is a bus drive and a small hike to the second waterfall. Grenada's nightlife is mostly centered on the resort hotels and a few vibrant clubs and bars here and there, including a huge club on the Carenage that features concerts. There is a large beach party, called the Moraga, during the summer that has bonfires and barbecues. There are also many restaurants on the island and you can usually find musicians around playing jazz and reggae music. The official language is English and Patois. There are 82% black people, 13% mixed black and European, 5% European and East Indian, and a small amount of Arawak/Carib people. Most people in Grenada are Christian, with a small amount group of Muslims. Surnames and place names from the French colonies still remain, and the everyday language is full of French words and local dialect. Cricket is the most popular sport in most of the Caribbean islands and is a central part of Grenada Culture. The national dish is known as "Oil-Down", a dish cooked in coconut milk until all the milk is absorbed, leaving a small amount of coconut oil in the bottom of the pot. Traditionally this was made with pigtails, pig's feet, beef, chicken and dumplings. Grenadian cuisine has been influenced by French, British, African, and West Indian cuisine. Grenada also produces some of the best fresh herbs and vegetables in the Caribbean. The livestock thrives on the vegetation and so is fat and delicious. Stew is a popular food, usually made with pork, beef and fish, and is usually served with rice. Grenadian fruit and vegetables include potatoes, tannia, eddoe, yam, plantains and bananas. A popular side dish is Christophene, a pear shaped vegetable. Another is coocoo made with corn.